I've enjoyed being fully self-employed for four years now. For those who don't know, I spent three years prior to this working as a Walk in Centre receptionist. 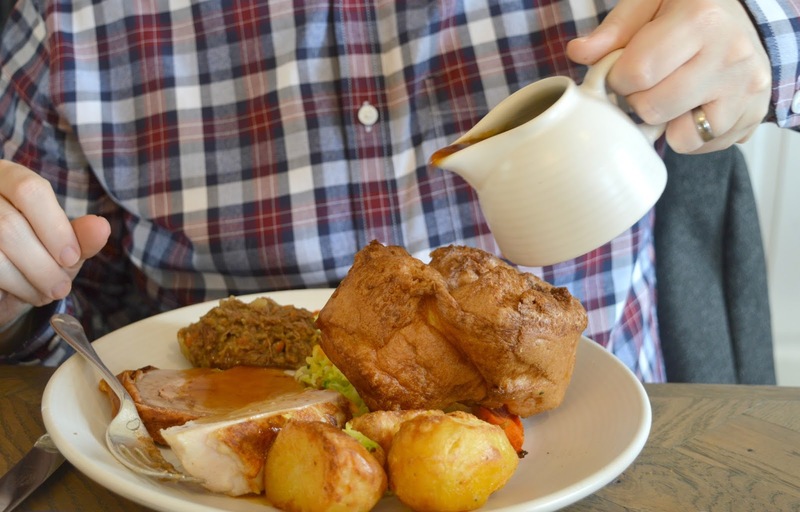 In order to avoid extortionate childcare costs, I would work long shifts every Saturday and Sunday and one of the biggest things I hated about this was missing out on Sunday lunch. 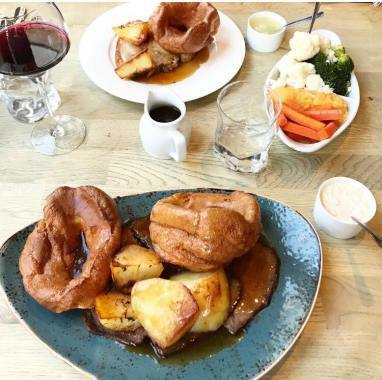 I love a good Sunday lunch and I only wish we had the funds to dine out every Sunday. 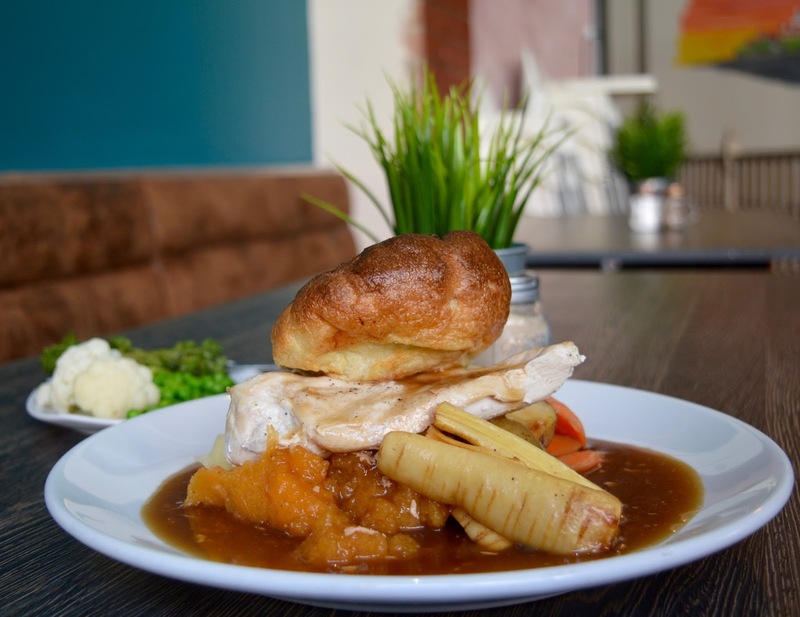 This list will hopefully grow over the coming months and years and will become a fantastic resource for those looking for a family-friendly place to enjoy the best meal of the week. 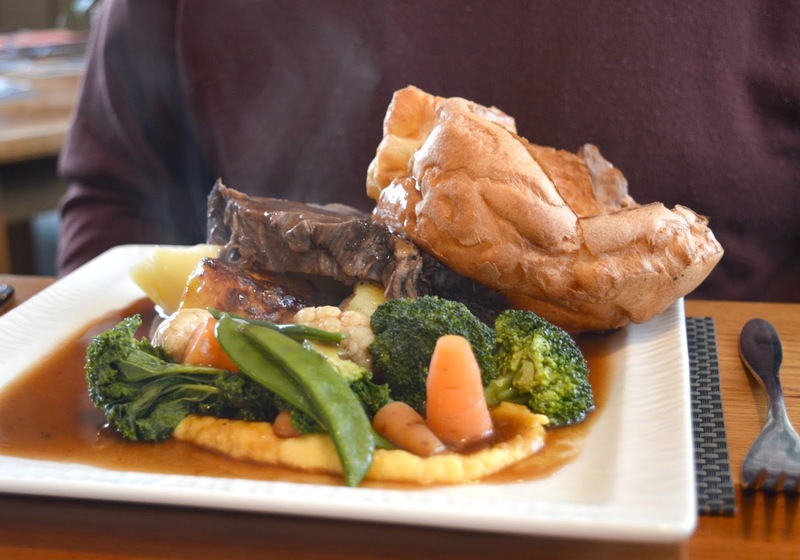 I am slightly biased here as Evan's Bistro is my brother's restaurant but I honestly love their Sunday lunches and they receive 5* reviews every week. 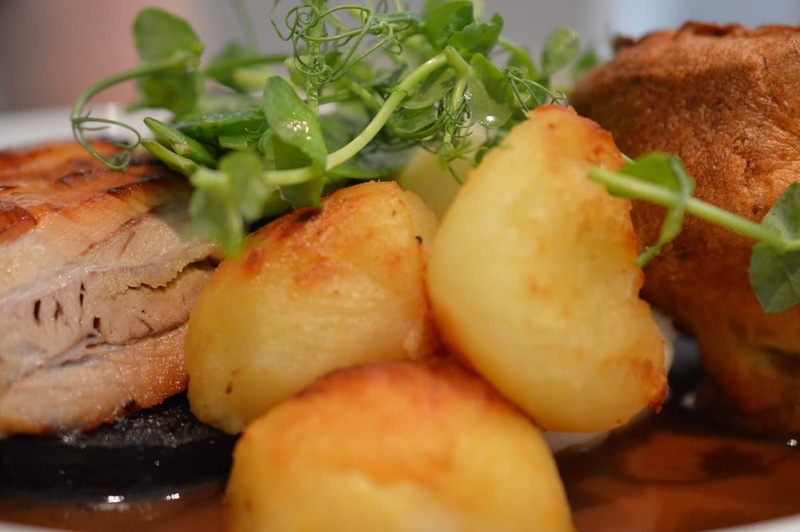 Priced at just £12.75 for two courses - everything is homemade. 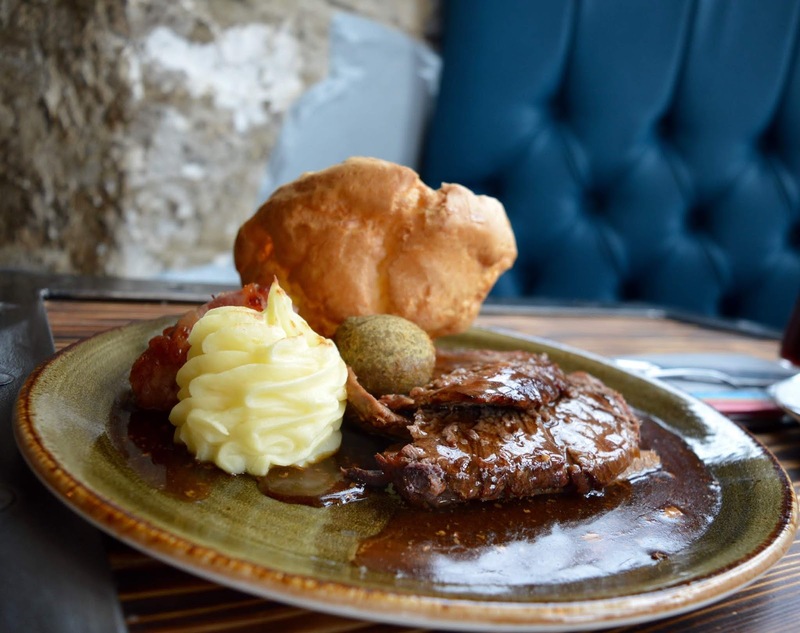 The mashed potato is creamy, the gravy is plentiful and to die for and their homemade desserts are just incredible (I recommend their Sticky Toffee Pudding). Evan's Bistro is super child-friendly too as there's a toy section in the restaurant and board games for older kids to borrow too. There are Vegan options and alternatives too and the kids menu is just £4.95 for 2 courses and a drink. Find out more here. Aphrodite is a lovely independent Greek restaurant in Cramlington and somewhere we used to visit a lot before Mark opened up his own restaurant. We still book to go here for our Christmas lunch as it's convenient because we can all walk there. 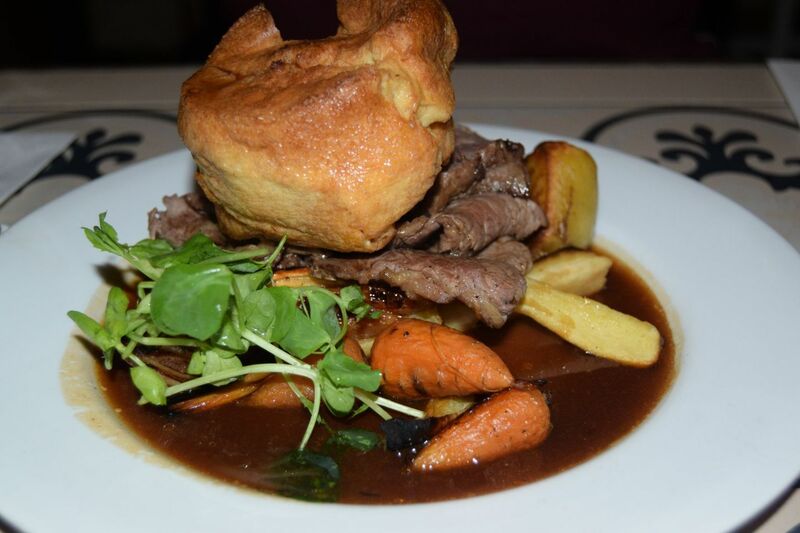 The welcome is always warm and friendly, the staff are fab with kids and the Sunday lunches are homemade and comforting. Plus it almost feels as if you could be sitting in Greece with the whitewashed walls and murals on the wall. Dining in a Castle doesn't need to break the bank. 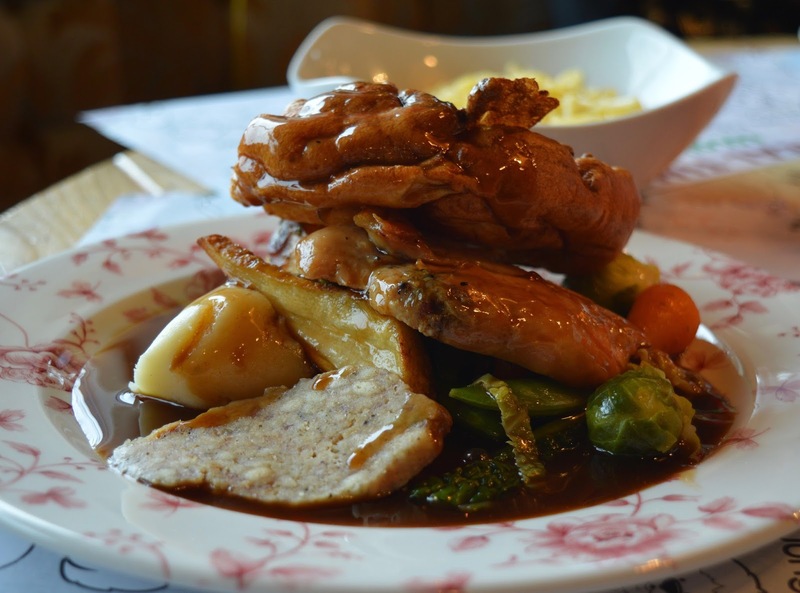 Sunday lunch at Walworth Castle is just £10.95 and includes a jug of proper homemade gravy. The setting is grand, service perfect and children are more than welcome. The food is delicious too. There's plenty to see and do in the castle grounds including a birds of prey centre, play park, nature trail and dungeon tours. 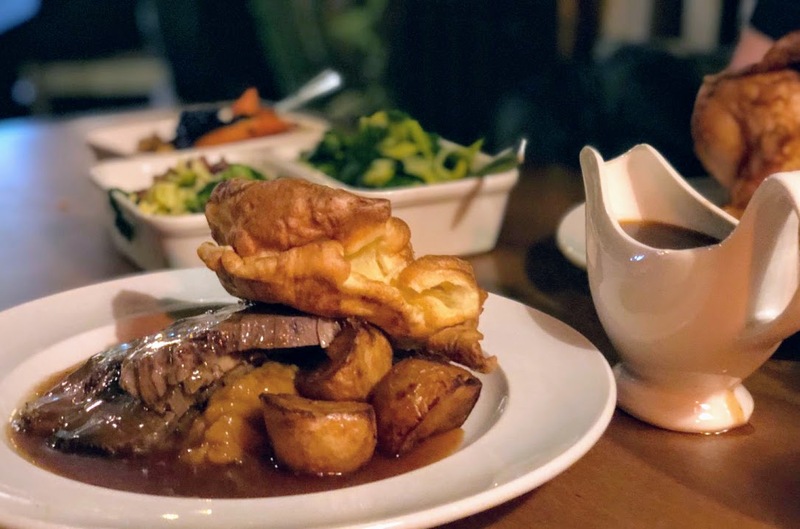 The Coach House in Otterburn is the ideal place for Sunday lunch on those days you fancy a drive out to the countryside. The setting is gorgeous and although slightly more formal, children are made to feel more than welcome here. The food is absolutely divine and the service is friendly. 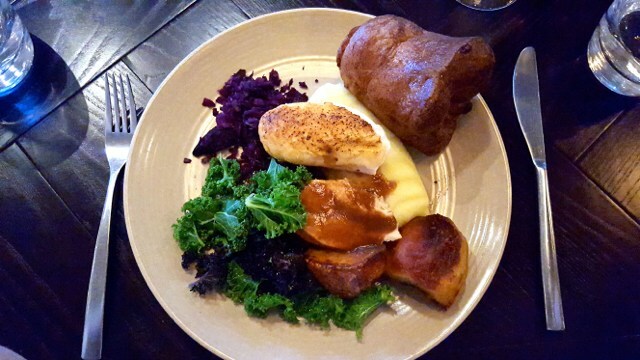 Sunday lunches are made for sharing at the Cook House. 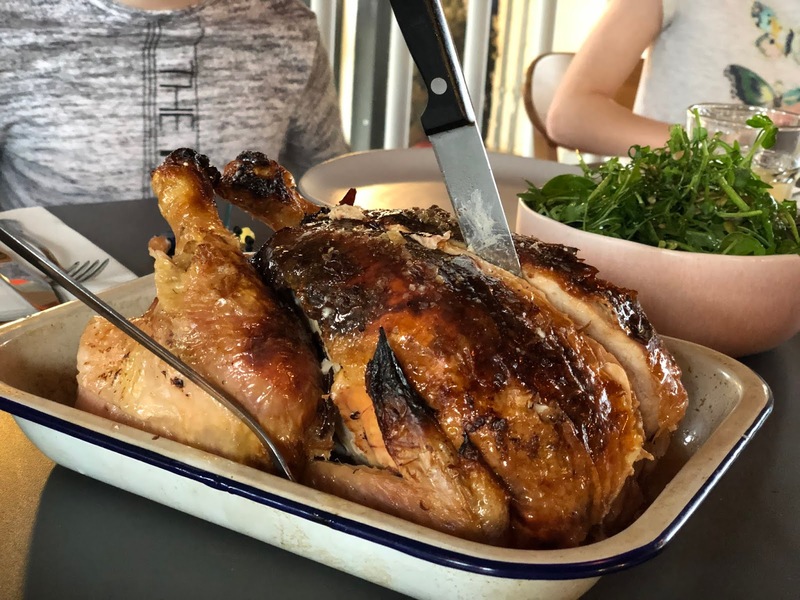 We enjoyed a whole chicken with a couple of sides during our visit which was shared between the 5 of us. Lovely family atmosphere and local tasty food but a little pricey. 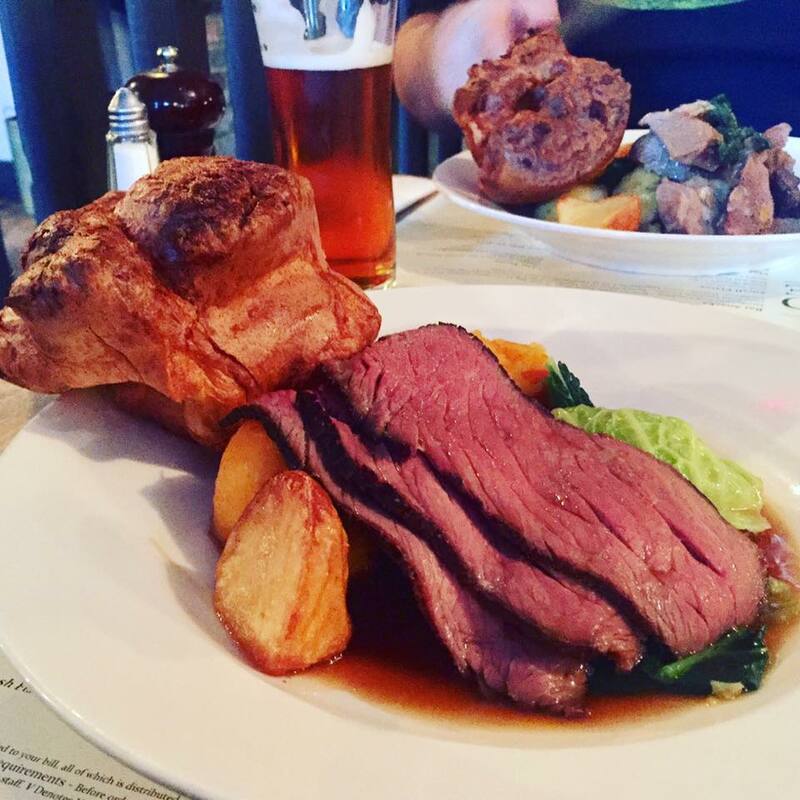 I am pretty sure that Wylam Brewery is my favourite Sunday Lunch in Newcastle. It's perfect for families as it's part of Exhibition Park where the kids can play or you can take a stroll afterwards. The food is absolutely top-notch and obviously, there's a decent selection of beers on offer too. The dining room is in a large open space so it's quite loud so although this won't be a quiet and relaxing lunch, it's perfect if you're dining with noisy kids as no one will bat an eyelid! 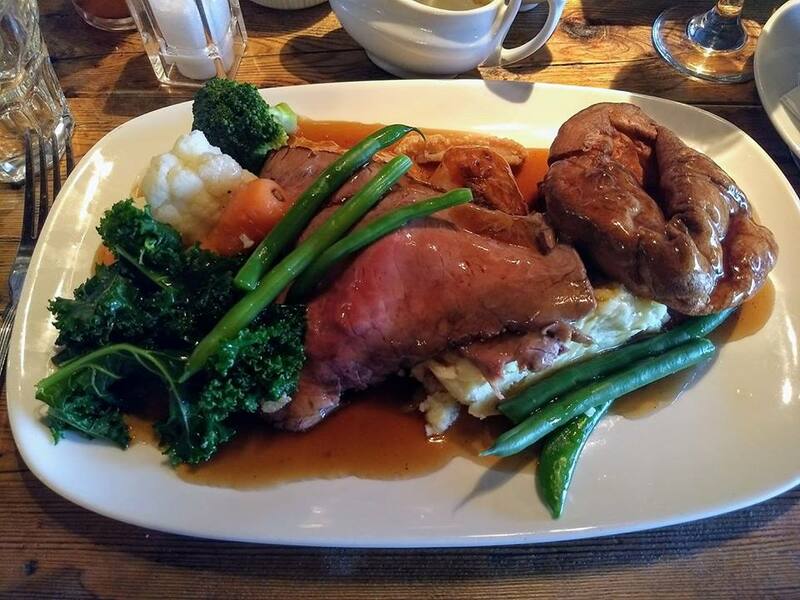 The Woodsmans Arms is a large and homely pub near Gibside serving up some of the best roast beef dinners in the North. There's a large outdoor terrace and the pub has it's own pizza oven too. We popped into The Sun Inn on the off chance and were lucky enough to grab one of the last tables. This is a proper pub serving traditional hearty homemade lunches with lovely, welcoming staff. 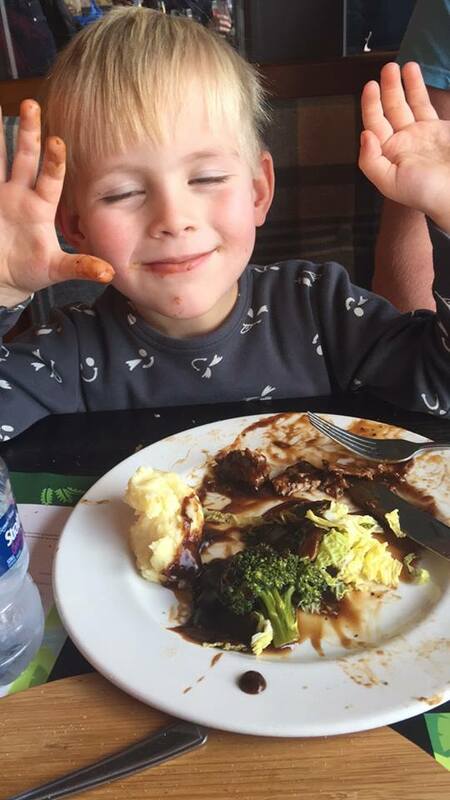 The Badger in Ponteland is Jack's favourite pub - he absolutely adores their sausages for some reason and is always asking when we can go back! 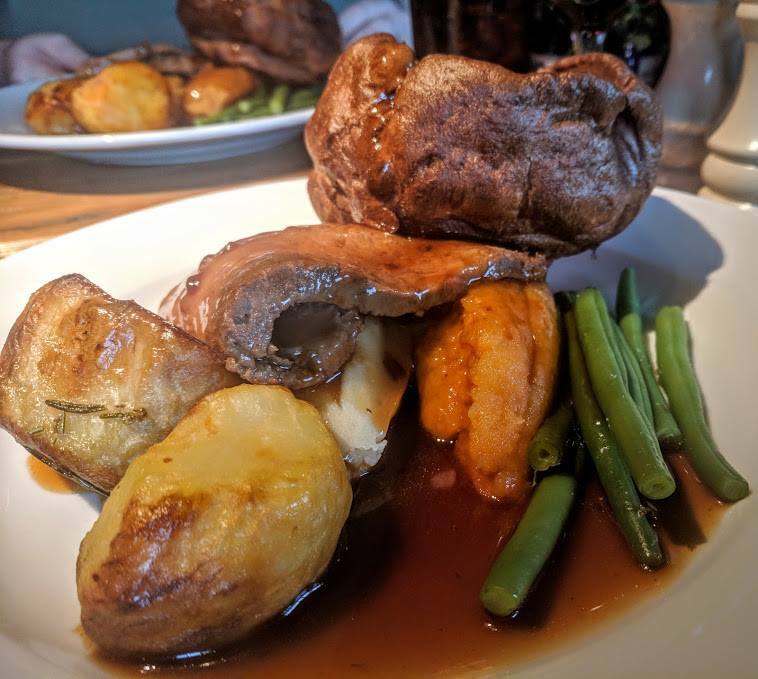 The Badger is a busy, family pub near the airport and one I'd definitely recommend if you're looking for a decent pub Sunday lunch with kids. William de Percy is a quaint shabby-chic style pub joined onto a popular wedding venue in Otterburn. It's perfect for those days that you fancy a drive out into the country. The inn is also a creperie if you'd like to treat yourself to pancakes for dessert and the children's menu is really good too. Whitworth Hall in Durham is a formal setting with linen tablecloths in a traditional setting. There is no children's menu as such but little ones can order half portions from the main menu. 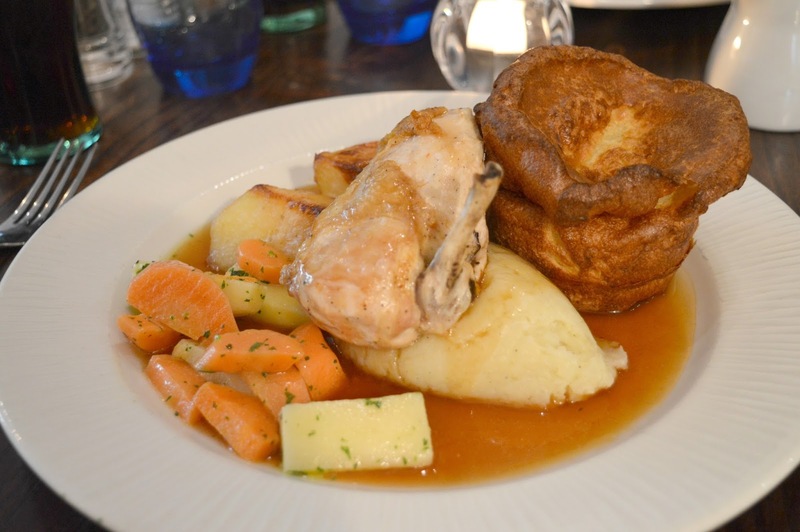 Sunday lunch for grown-ups is £14.95 for 2 courses which is fantastic value and the food is all superb. Service was a little slow on the day of our visit. Make sure you leave time to feed the deer in the hall's gardens. We were pleasantly surprised with Liberty Brown. The food was tasty (although I'd skip the soup) and I love how there are usually lots of activities/character visits/face painting to keep the kids entertained at no additional cost. 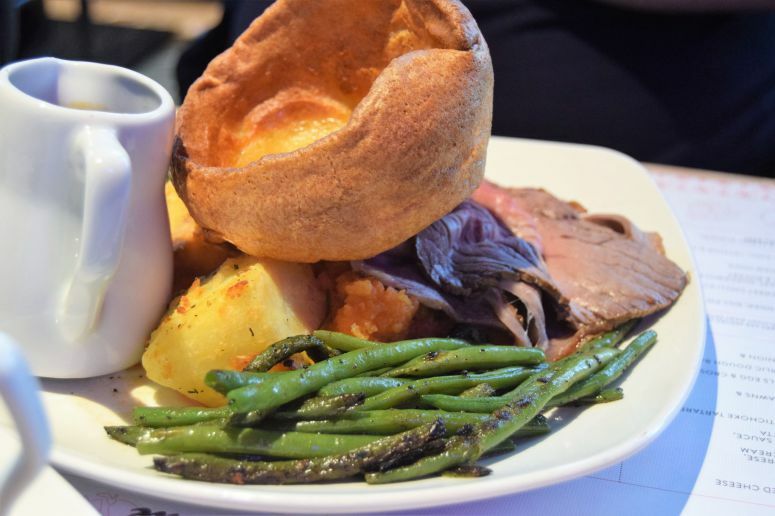 Sunday lunch is priced at around £10 for adults and there are usually lots of options and £7.95 for kids which is fantastic as this covers 3 courses, a drink and bambinocino. 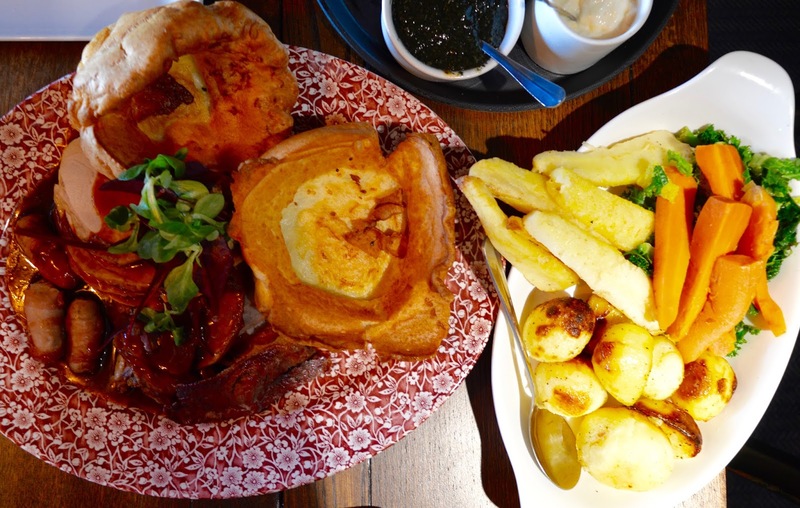 Sunday lunches are served as huge sharing platters at The Fox Hole and priced at £18.95 for 2 courses (kids are half price). This way of sharing lunch is fab for families as you can pick and choose what you'd like. We opted for all the meat when we visited. This was served with jugs of homemade gravy and plenty of veg. 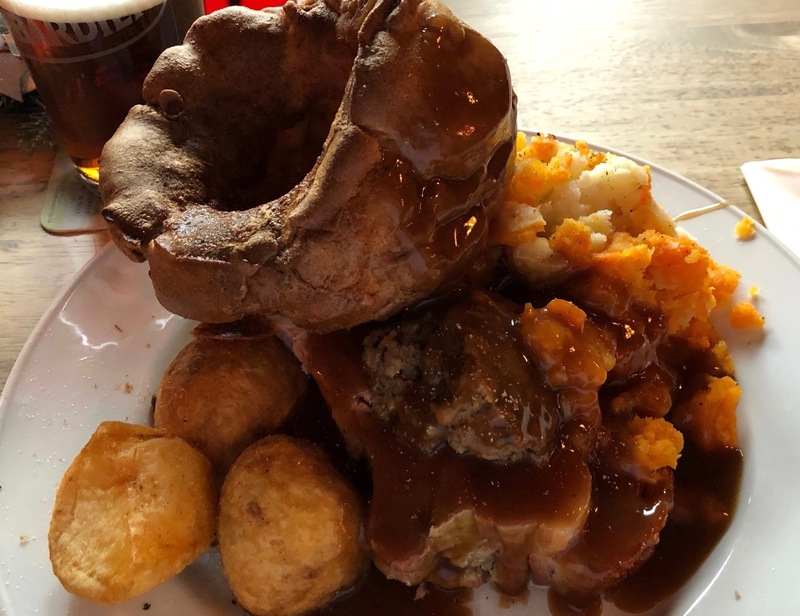 I often recommend the Fox Hole as my favourite Sunday lunch in the North East. The Cook and Barker is a beautiful inn located in the quaint village of Newton by the Moor near Felton in Northumberland. It's everything you'd expect from a country pub and more. 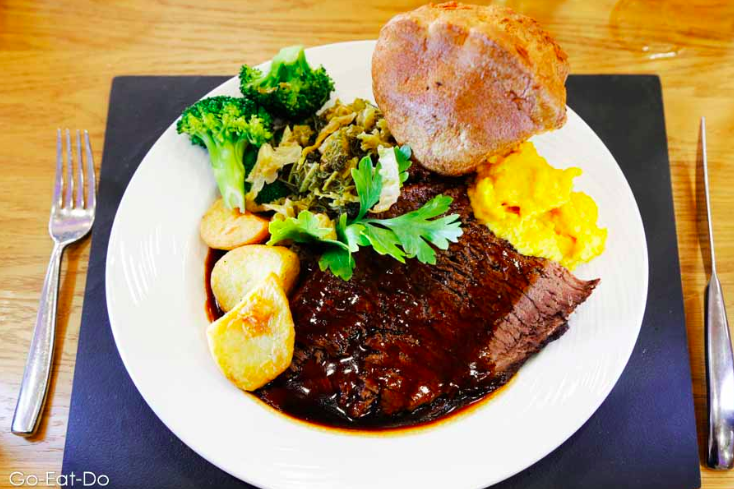 Sunday lunch is priced at £17.95 for 3 courses (discounted for children) and I like how everything is brought out in dishes to your table. It feels as if you could be sitting around your mum's kitchen table when you dine here. Everything is homemade and yummy. 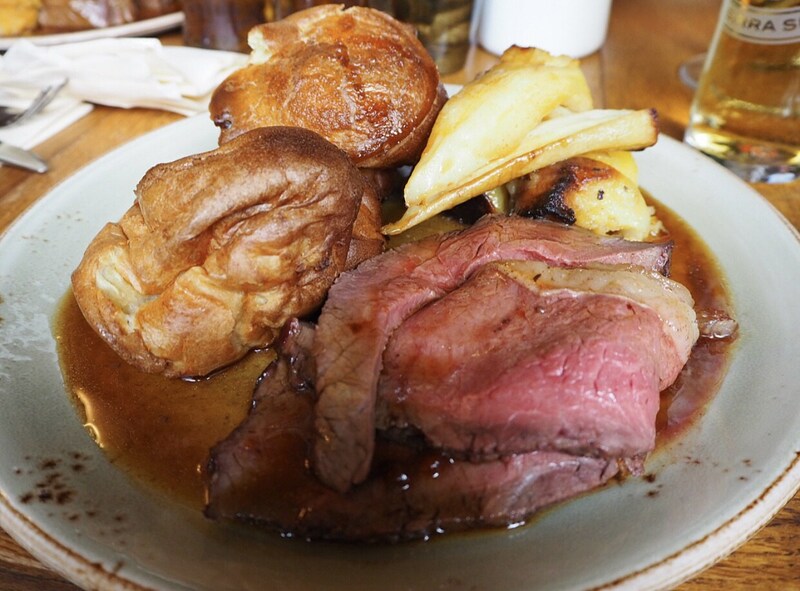 A lot of people are a bit snobby when it comes to the Botanist and their Sunday lunches but I think they offer fantastic value for money. You won't get a more magical setting in the city centre and there is often live music to add to the atmosphere. 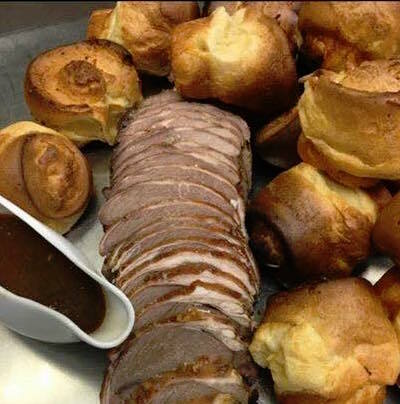 Sunday roasts start at £11.95 for grown-ups and are just £6.95 for kids including a special seaside ice cream dessert. 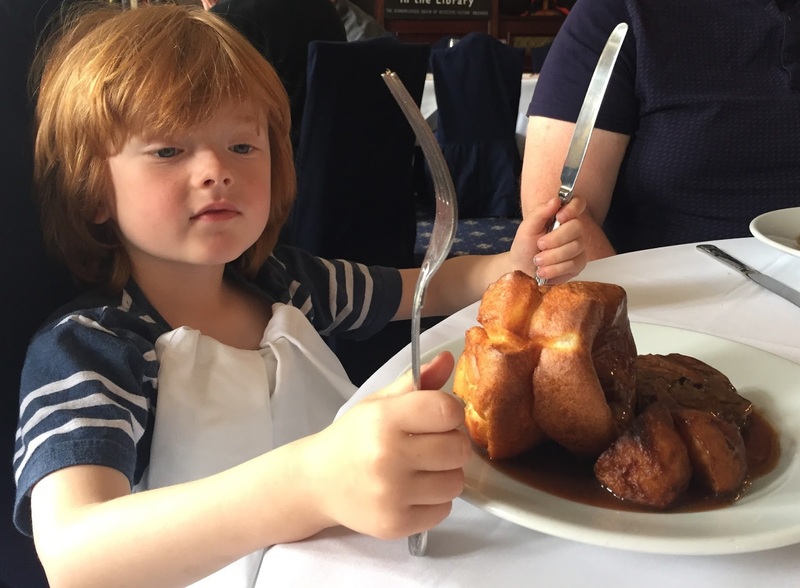 The roast beef is served nice and pink, the veg and yorkshires have always been perfectly cooked for us and the kids adore visiting here. Oh there's a very good cocktail menu to work your way too. Dining at Jesmond Dene House offers a real sense of occasion. The elegant dining room is beautiful and although it may feel fancy, children are welcomed with open arms. 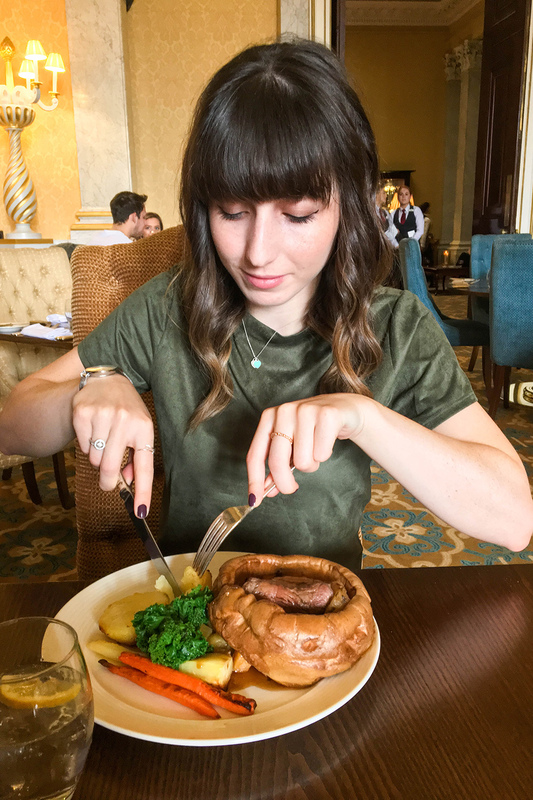 Sunday lunch at Jesmond Dene House is honestly an absolute steal at £22 for 2 courses (children's meals are priced at £9.50 for 2 courses). 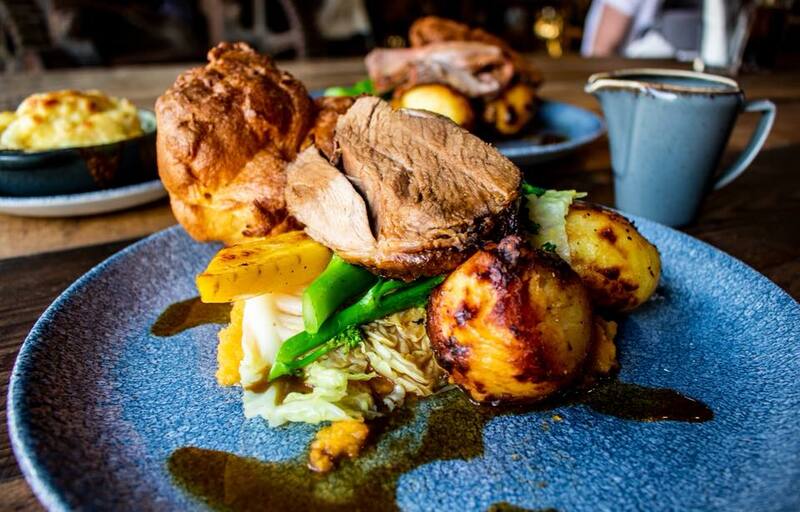 The food served here is some of the best the North East has to offer. A word of warning though, watch out for all the extras - extra side dishes, bottled water for the table, service charge.......it can all add up and if you're on a budget it's something to be mindful of. Although we didn't dine with kids on this occasion, there were plenty of families in the restaurant during our visit and I would certainly return with our three. 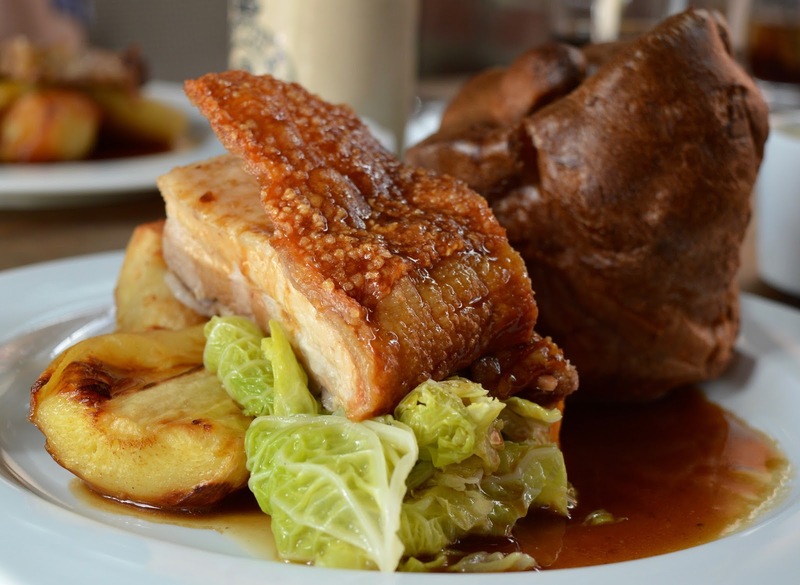 Expect high-quality meat, homemade yorkshires and roasties, a decent wine and beer list plus very good service. The only thing I would improve on is the gravy which is always on the watery side! The pub is warm and welcoming with a good atmosphere. 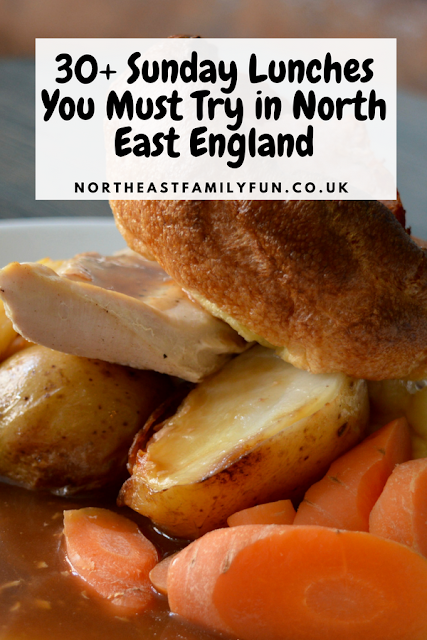 Obviously I can't make it to every single place in the North East (although I would love it if I could) so I've asked my readers to share their favourites. If you have a photo or recommendation to share, please email sam@northeastfamilyfun.co.uk for inclusion. 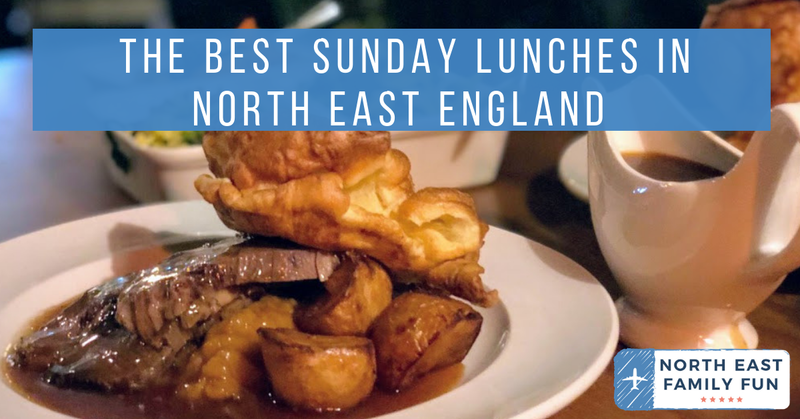 Let me know if you have a favourite place to visit for Sunday Lunch in the North East. 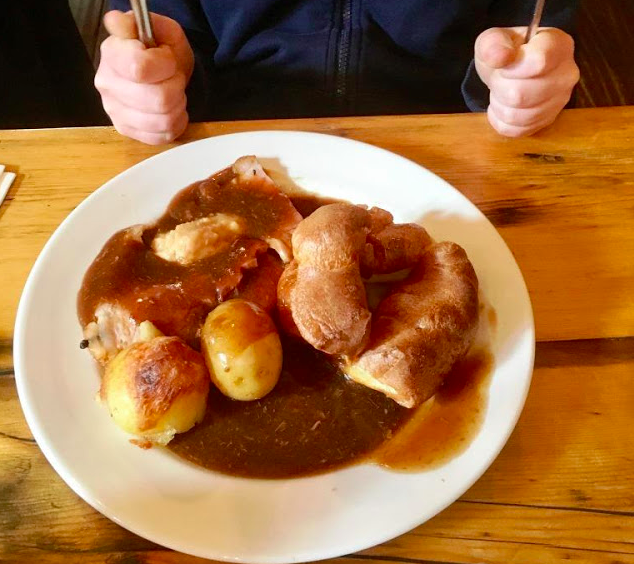 Apparently there's a misconception by some people in the USA that the Yorkshire pudding is a fluffy dessert. 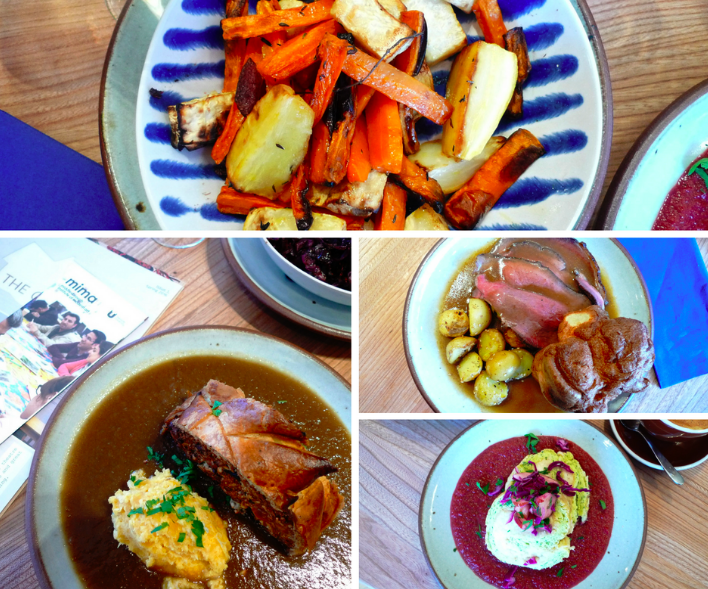 I have never seen such an amazing collection of Sunday Roast photographs before! Looking forward to trying every single one .. and OMG I AM NOW SO HUNGRY!!!!!!! 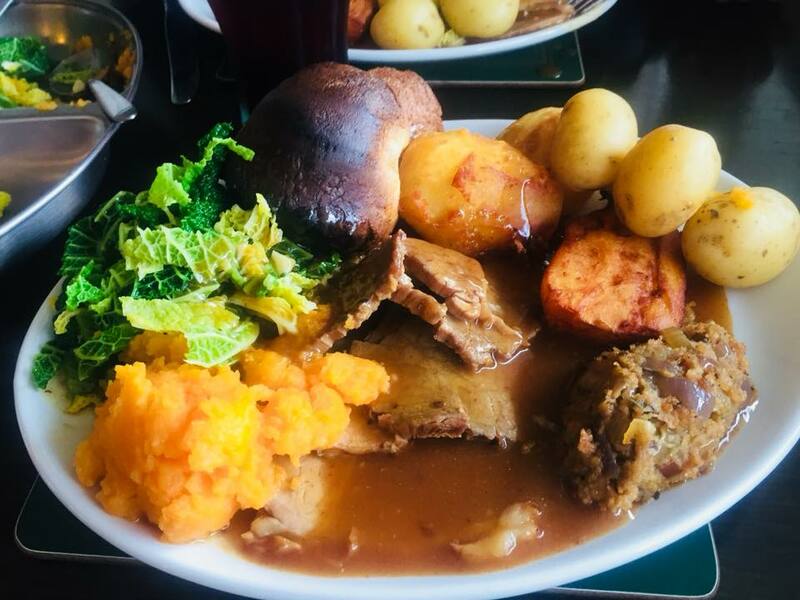 Sweetharts at Blackhill near Consett is awesome for Sunday lunch.